It’s rare to find a signed book for a dollar in a discount book bin, but even more so when that book turns out to be a great read. Author Ellen Meister had me at the title, and she continued her hold with a literary ride that was sweet, saucy and so much fun. Violet Epps is a movie critic terrified of confrontation, so she’s saddled with a boyfriend she can’t dump, and may never get custody of the orphaned niece who needs a better life. The only place she feels confident is on the page, where her sarcasm reaches to the lofty heights of her hero, Dorothy Parker. When she and her boyfriend meet at the Algonquin Hotel and the manager presents the storied guest book for her signature, she receives a sharp-tongued, spine transplant in the form of Parker’s ghost. After a quick possession by Parker, she grabs the guest book and flees the scene once she tells off her worthless beau, and her life begins to veer far from the predictable, meek paths she usually follows. Meister makes Violet a nicely rounded character with depth, showing how Violet’s present fears are rooted in her childhood relationship with her sister, Ivy. It turns out young Violet’s wicked wit was nipped in the bud by a sibling who had her own cruel ways of getting even, something Violet couldn’t heal from even when she and her sister grew close as adults. After the accident that takes her sister and brother-in-law’s lives, Violet tries to gain custody of her young niece Delaney, but her fear makes her have a meltdown at the custody hearing. Piled onto that is the new editor’s assistant at work who thinks she can re-write Violet’s columns without retribution. Good thing Violet has the ghost of Dorothy Parker now, and this is where Meister shines: she brings the daunting legend to full life, giving her great dialogue and showing that behind many sarcastic souls lie the tender wounds of childhood. Whenever the guest book is open, Parker is free to drink, smoke and throw shade at every oppressive corner of Violet’s life, sending her into new adventures with television appearances, blackmail opportunities, work smackdowns and even a hot tryst with her martial arts instructor. 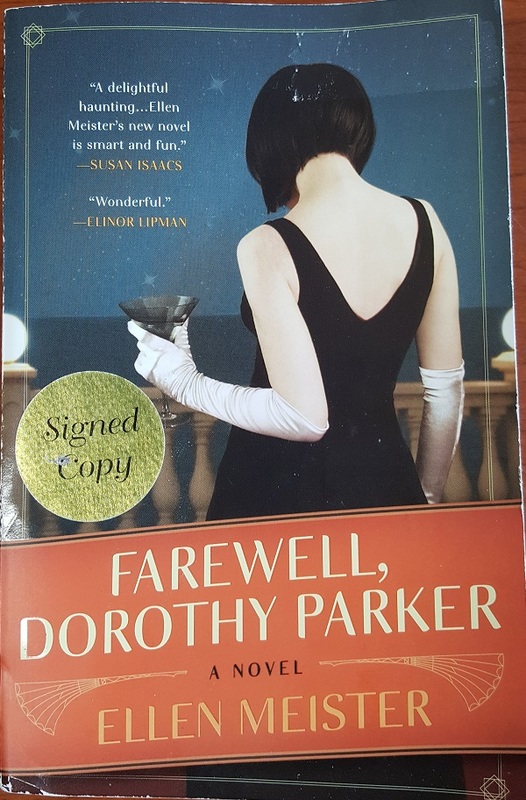 The entire plot moves as fast as Parker’s savage literary takedowns, and in the end, Violet learns how to stand up for herself and the ones she loves. She also helps Parker learn a thing or two, so the ghost can finally look straight into that bright light which beckons to her whenever she materializes. This book is smart, heartfelt and the perfect fantasy for any Dorothy Parker fan who always thinks of the perfect comeback after the argument is done.